A flooded basement can bring many problems for homeowners. When your basement floods, it's much more than just a nuisance. 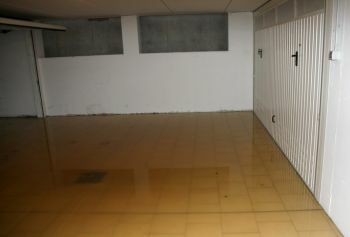 Depending on the severity of the flood in your basement, it can be too dangerous to resolve without an experienced water damage restoration specialist. Once water reaches a higher point than any electrical outlets, you're risking electrocution. The deeper the water, the more dangerous it can be. Immediate action is crucial when dealing with a flooded basement, but before trenching through any level of flooded water in your basement; whether you're trying to resolve the issue alone, or put a temporary stop to it, call the water damage experts at EZ Restoration LLC first! EZ Restoration LLC offers 24/7 emergency service to always ensure we are there FAST when you need us most. The water damage restoration professionals at EZ Restoration LLC will get rid of all the standing water in your basement and properly dry the area out in a timely manner, helping to prevent mold growth and any other potential damage. We will help try to salvage any contents or storage, and remove any unsalvageable items. With over 6 years in the water damage restoration industry, our knowledgeable professionals will work to get your basement and home back to normal ASAP. Call (844) 289-7209 for FAST response for your basement flood!